⬅ Stop waiting and start making! 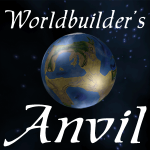 Today’s Topic – The introduction of the Worldbuilder’s Anvil Podcast! This is the official teaser for the Wordbuilder’s Anvil. If you love fictional world’s and want to learn how to make them. Or if you make them and are looking for food-for-thought. This is the show for you. This was made before Michael Miller joint me as a co-host in Episode 8o. The first fifty episodes cover the basics of Fantasy Worldbuilding. After that point, I go into more detail or cover pop culture through the lens of world building. It is been a long time coming for me. I have never produced or even been on a podcast before. If you love fictional world’s and want to learn how to make them. Or if you make them and are looking for food-for-thought. This is the show for you.However, I am very excited about where this show is starting. Enough teasing now check out my show on iTunes, then subscribe and review my show to help other worldbuilder’s join in on the fun. It really helps. See you for my first episode. Please take a moment and comment below on this episode. 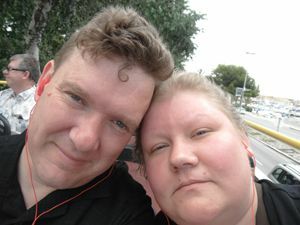 Also Reviews and subscriptions on iTunes will also help me produce a better show overtime. So I invite you to help me make my first show a success.